April 8, 2019 – When we think of climate change, one of the first things to come to mind is melting polar ice. However, ice loss isn’t just restricted to the polar regions. 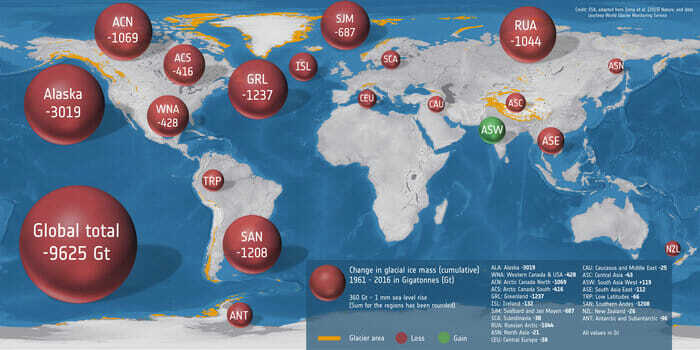 According to research published today, glaciers around the world have lost well over 9000 gigatonnes (nine trillion tonnes) of ice since 1961, raising sea level by 27 mm.